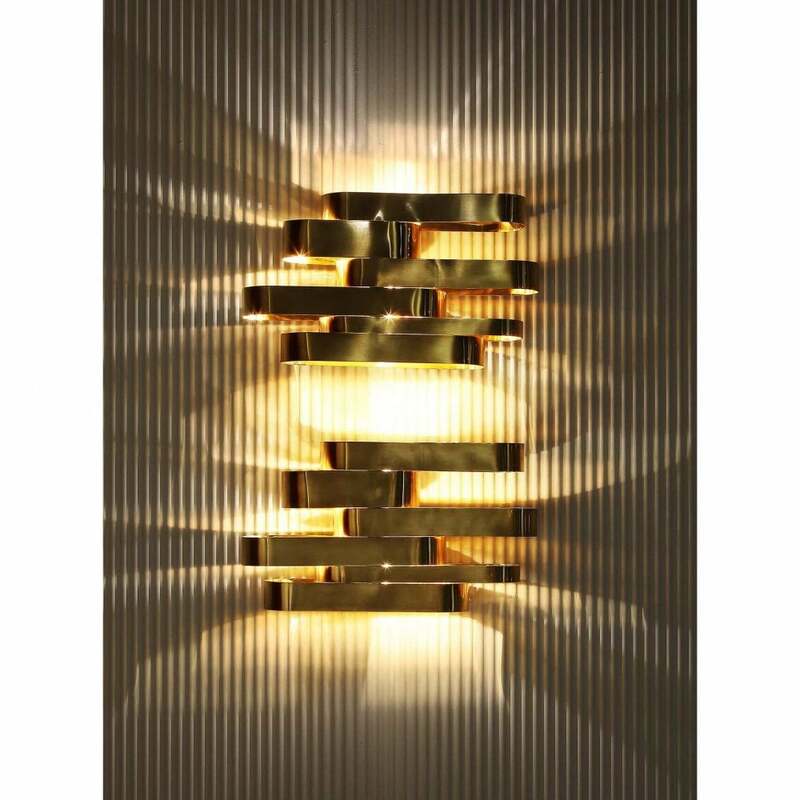 Add a welcoming ambience to a living area or hallway with the Bijoux Wall Lamp by Rugiano Interiors. Hand-crafted in the heart of Italy, Bijoux takes inspiration from the glamourous Art Deco era. Featuring a stacked design made with polished brass, the light is cleverly reflected off the metallic surfaces creating a warm glow. The Bijoux Wall Lamp will bring Italian sophistication to a contemporary scheme or add a modern touch to a more traditional space. Style with Italy’s signature interior colourways of terracotta, stone and coffee for a luxurious look. Make an enquiry for more information.